dark energy: lighting up the darkness! What is causing the acceleration of our Universe today? Is it Dark Energy - perhaps vacuum energy, dynamical scalar fields, etc? Or, does it indicate a breakdown of General Relativity on large scales? What are the theoretical possibilities, and how do we test them observationally? Answering these questions requires interdisciplinary collaborations between astronomers/astrophysicists, cosmologists, high-energy/particle physicists, statisticians, and mathematicians, and Institute for Physics and Mathematics of the Universe (IPMU) offers a unique environment for tackling these questions. To put this effort forward, we organize an international conference on Dark Energy, calling for participations of active researchers on the frontier of Dark Energy studies worldwide. The topics of this conference include theoretical ideas such as vacuum energy, quintessence, and modified gravity, as well as the current status and future prospects of observational tests such as Cosmic Microwave Background, Type Ia supernovae, and large-scale structure (galaxy distribution, gravitational lensing, and clusters of galaxies). 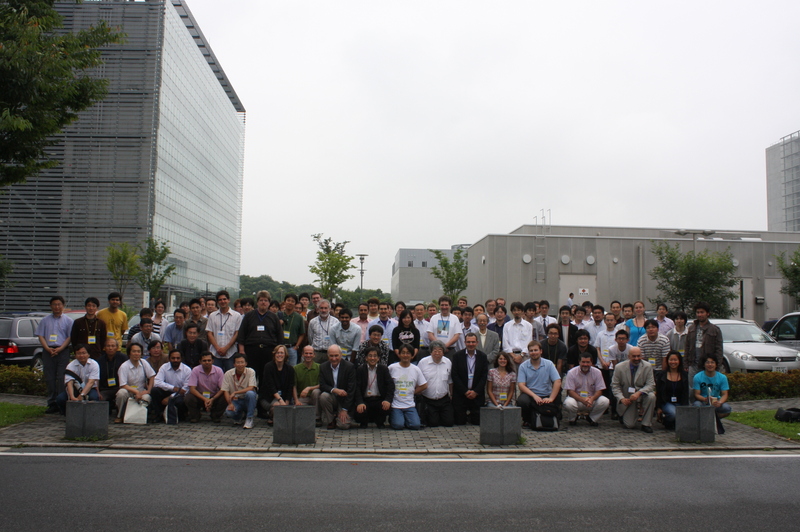 We look forward to your participation, and seeing you in Kashiwa in June 2009! New! Talks presented in the conference now available! Links provided in the updated program file. New! Group photo available here!